We attended the fantastic Flywheel Festival for the first time this year and wasn’t disappointed. What a great family day out it proved to be. 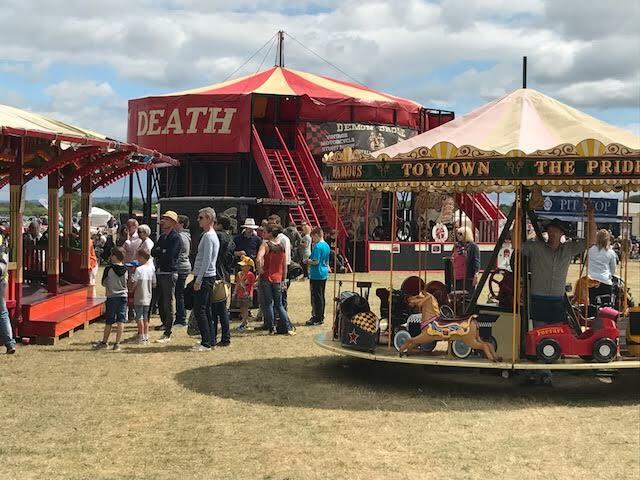 Flywheel is a spectacular Family day out that combines the very best of heritage action to create a weekend of nostalgia and excitement. 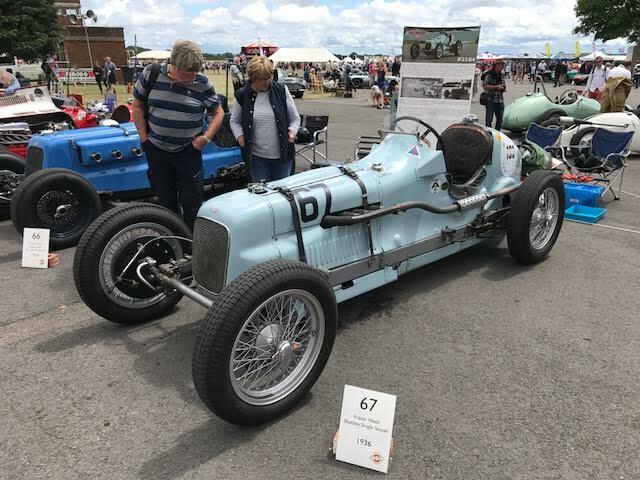 Set against the backdrop of the UK’s best preserved second world war bomber station – Bicester Heritage in Oxfordshire, Flywheel is a unique opportunity to get close up to the UK’s most impressive gathering of historical cars, aircraft and military machinery in action. 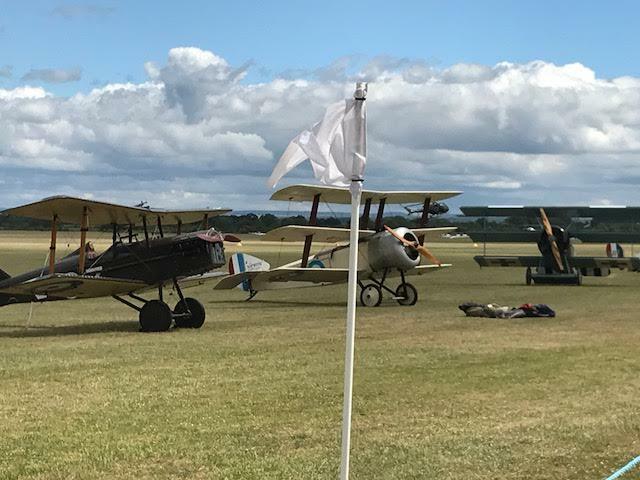 There was a magnificent displays and flypasts from historic aircraft; thrilling demonstrations by historic road and racing cars; and dramatic military vehicle displays and re-enactors. Also hundreds of classic cars and bikes on show and vintage clothing & home-wares to browse. For the big and little kids there were traditional fun fair rides and period music performances. As we approached the venue we started to notice the number of stunning and rare vintage cars on their way to the event. The classic cars were directed to a different area to allow the festival goers to stroll around and admire these beautiful machines. On entry we headed straight to the Military machines and a memorable tank ride. Next we spent a while at the track watching some of the most beautiful original racing cars from the 1930’s to 1940s tear around the track. The commentary provided gave us lots of really interesting information of the history of each of the cars. Next stop was the paddocks where all these cars were being lovingly prepared by their owners to take to the tracks. I have not seen so many truly rare classic racing cars assembled in one place. Nest it was time for some lunch so we headed straight to the vintage catering vans. We had a lovely lunch in the music marquee listening to the fabulous Candy Girls. Fully refreshed we then headed off for some shopping. 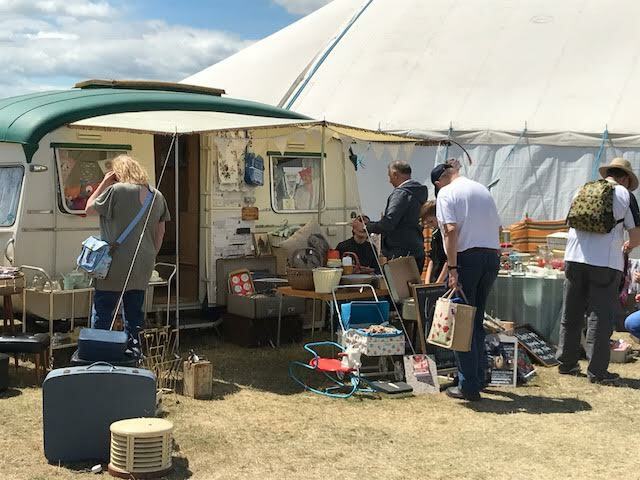 The marquee full of vintage clothing and home-wares as well as military themed goods. My daughter particularly enjoyed the vintage fairground rides, especially the bumper cars. The rest of our afternoon was spent watching the air displays, including a stunning Tiger Moth biplane display team, a Spitfire and Buchon dogfight and Super-Pitts aerobatic display. We will definitely be returning next year and would recommend this fabulous days out to everyone!